How times have changed. Last month, Priorities hauled in $15.2 million, a new monthly record for the group. 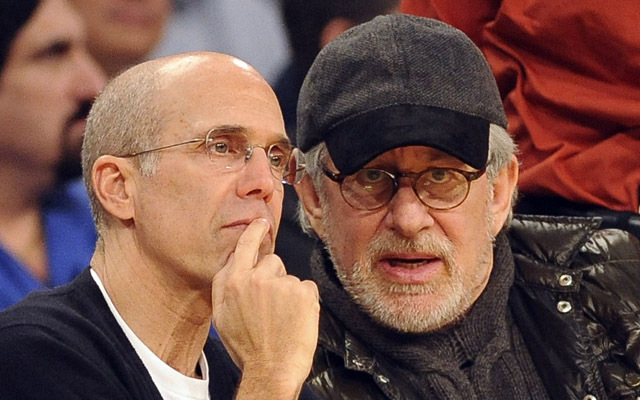 Big donations came in from Hollywood director and producer Steven Spielberg ($1 million), Dreamworks Animation CEO Jeff Katzenberg ($1 million), hedge fund manager James Simons ($1.5 million), Chicago media mogul Fred Eychaner ($2 million), and attorney David Boies ($1 million). The United Auto Workers, of which I’m a member, also waded into the super-PAC wars for the first time, giving Priorities $1 million. United Association, the plumbers and pipefitters union, chipped in $673,100, and the National Air Traffic Controllers Association gave another $250,000. Rob Walton, chairman of Walmart, a decidedly anti-union company, gave $300,000 to Priorities as well. Restore Our Future, the super-PAC backing Mitt Romney, turned in a strong September as well. The group raised $14.8 million. ROF’s donor list is filled with familiar faces in the world of big-money Republican fundraising. With his $2 million donation last month, Texas homebuilding king Bob Perry has given a total of $9 million to Restore Our Future. Oxbow, the energy company run by Bill Koch, brother to Charles and David Koch of Koch Industries, gave another $1 million, as did Robert McNair, who owns the Houston Texans, and Stan Herzog, a Missouri businessman. Nearly $4 million of Restore Our Future’s September donations came from corporations, such as airline interior supplier Greenpoint Technologies and rental company Penske Corporation. Restore Our Future has raised $111.5 million since its creation in March 2011. Restore Our Future last week announced one of its biggest ad blitzes of the 2012 campaign. The super-PAC said it will spend $12 million on a nine-day ad spree in Colorado, Florida, Iowa, Michigan, Nevada, North Carolina, Nevada, Virginia, and Wisconsin.